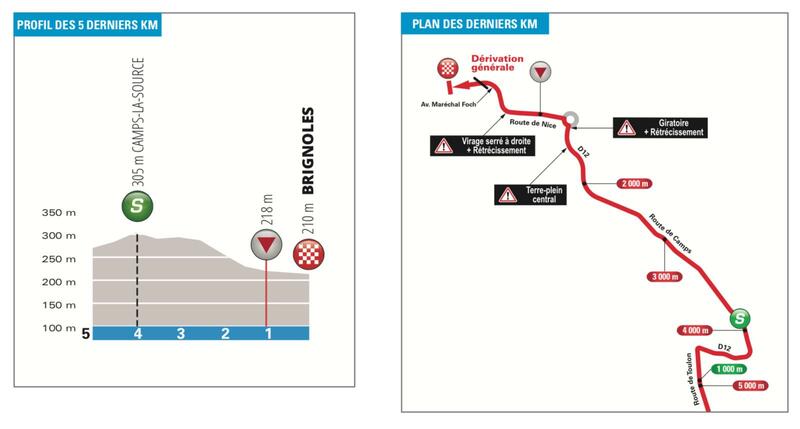 This is a stage which will interest many riders. It’s the final stage before we head into the mountains, which makes it the last chance to take a win for most of the riders. 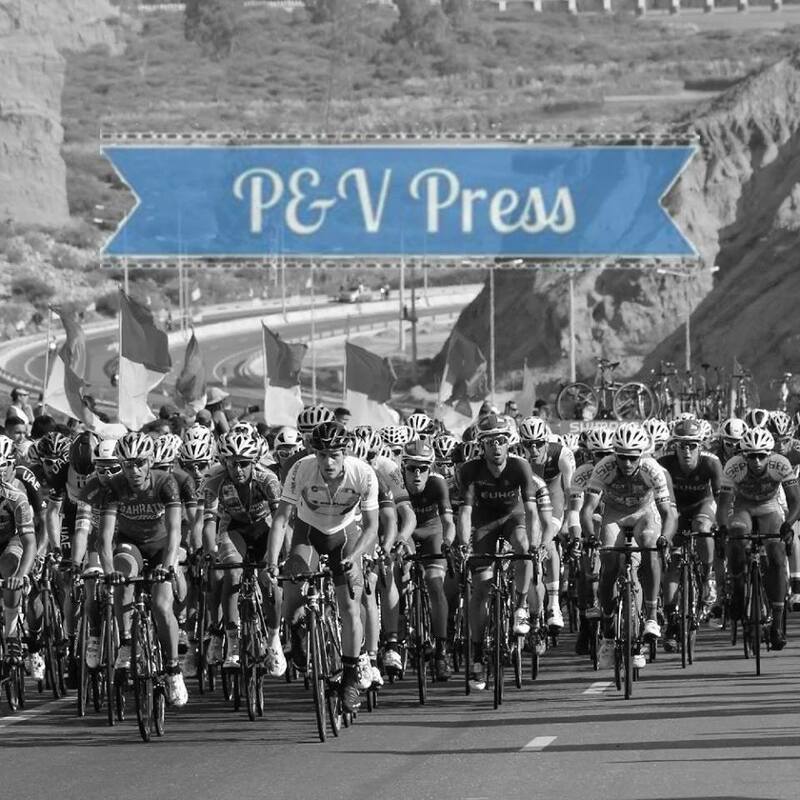 Similar to Wednesday, the categorised climbs all come towards the end of the stage, but are they tough enough to drop all of the quick men? 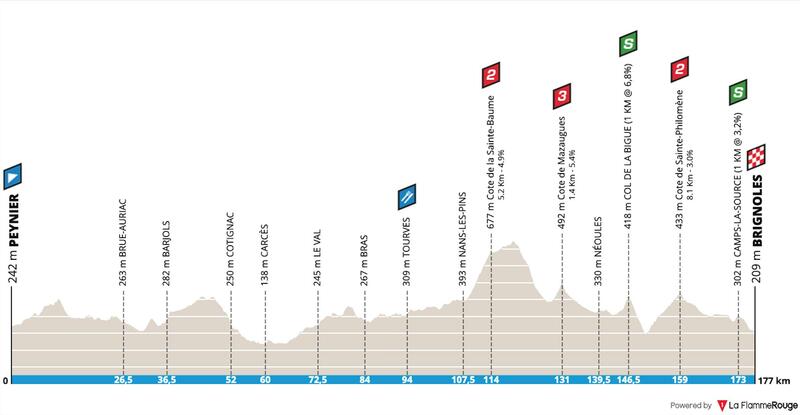 The stage has 2292m of climbing, that isn’t too tough for the fast men. The climbs are: 11km at 3%, 2km at 5%, 1.3km at 5.7% and 7.7km at 3%. The last of these climbs crests with 18km remaining, but with one uncategorised bump still to negotiate. To make life interesting, the organisers have put the final sprint point at the top of a drag which is 1.1km at 3%, cresting with just 4km remaining. With a fast descent to follow, it’s vital the sprinters start this climb at the front of the bunch and don’t slide down the bunch. Making up lost positions will be tough in the closing stages. Is it too tough for the sprinters? I don’t think so, but the route is only half of the problem! The wind will be between 40mph and 50mph, or 64km/h to 80km/h. That will make this stage an epic day in the saddle. It is strong enough that the organisers could consider altering the route and making it shorter, we’ll have to see if they decide to do so. The wind is coming from the north-west, which means a lot of crosswinds. Expect a very small group at the end of the stage. With a couple of issues in the final 2km, it’s important to be right at the front of the bunch. The descent is fast, and the final kilometre is technical, this is perfect for the late attackers. Matteo Trentin – coped well with the crosswinds in the opening stages and the climbs won’t be too much trouble for him. The Italian is enjoying a good start to the season, but winning this stage certainly won’t be easy. He’ll need to stick close to Team Sky and hope to join their echelon, they might let him if he asks nicely! Philippe Gilbert – big Phil seems to be finding some decent form. If we get a truly filthy day, he’ll be licking his lips. Gilbert is a rider with an unrivalled level of experience, he’ll need all of it in this stage. Both he and Bob Jungels would hope to survive any crosswinds, which would put them in a strong position in the closing kilometres. We’ve already seen that Gilbert can beat Kwiatkowski in a sprint, he’ll be hoping to get another chance to sprint against him. Luis León Sánchez – the Spaniard has been looking very impressive this week. As we head into the mountains, it’s unlikely he’ll be able to challenge for stages, I sense this is his last chance. He’s been riding well in the echelons, something he’ll need to do in this stage. Michal Kwiatkowski – the Pole is currently wearing the yellow jersey after a very successful week. If the wind is as bad as predicted, this is a big chance for him to distance the climbers and take a firm grasp of the title. With Rowe and Bernal to help, Sky have been the dominate team and they would expect this to continue. If they can drop the sprinters, Kwiatkowski will have a great chance of taking a stage win. Sam Bennett – if the route gets changed, the Irishman looks the best of the sprinters. He won’t mind the hills and will be full of confidence after his win on Tuesday. The wind to blow and Sky to take advantage. Once the dust settles, Michal Kwiatkowski will take the stage and more bonus seconds.